Grex is something different from what you might expect of a choir. Grex Musicus is composed of a couple of dozen pro-level, versatile singers with personality and their musical leader Marjukka Riihimäki. This includes pop-artists, classical singers, singer-songwriters, and excellent instrument musicians. These individuals’ personal sounds and styles have been honed into a cohesive whole. Grex’s sound is inimitable. The versatile composition of the group can also be heard in the versatility of the music. Grex’s repertoire ranges from modern to popular to classical music and from traditional Finnish folk music to Argentinian tangos. In the recent years, Grex’s performance venues and events have included concert halls in Tokyo, Floridan churches, Singaporean festivals, Argentinian rowing clubs, Finnish hockey arenas, the presidential palace and the Olympic Stadium. Established in 1991, Grex is passionate about not only singing and high-class music, but also memorable concerts and that touch the audience. For that reason a fine-tuned technical performance is not enough and that is why Grex does not settle with delivering quality a cappella music. Grex delivers feelings, experiences and encounters. With emotion and skill. See us live and hear for yourself. 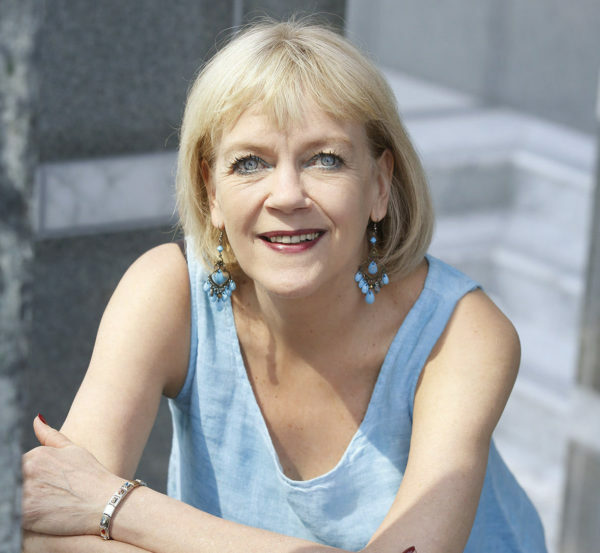 Marjukka Riihimäki graduated from Sibelius Academy with a music teacher degree in 1972. During 1982-2012 she acted as a choir conductor in the high school Sibelius-lukio. In 1991 Marjukka established the chamber choir Grex Musicus. She has crafted Grex Musicus into a group which is distinctive by style and tone, and that, when performing, reacts to its leader’s radiating conducting style and gets praise for a visible passion for making music. Grex Musicus has travelled the around the globe under Marjukka’s leadership, e.g. to South Africa, Cuba and Brazil, and seen unforgettable musical experiences. 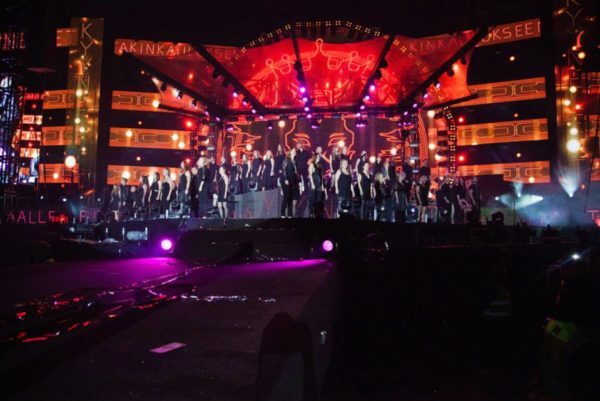 The choir’s latest voyage was directed to Argentina in the New Years of 2013. In addition to Grex Musicus, Marjukka conducts Philomela and also enjoys working with the elderly at the Wilhelmiina service home. Marjukka Riihimäki is the only choir conductor to win the Grand Prix prize of the international Tampereen Sävel choir review twice: in 2001 with Philomela and 2005 with Grex Musicus. She was awarded the honorary title “musiikkineuvos” (“musical council”) in 2009. She was selected Choir Conductor of the Year in 2006, in addition to which she has been granted the Kekrinpäivä Recognition Award of Kalevalaseura (2005), the Klemetti Award and the award of The Finnish Cultural Foundation (1994). The milestones present some of the highlights from the journey, but if you are interested to know more about us and our experience, please contact our president. Click to see the concerts and the adventures of our journey. 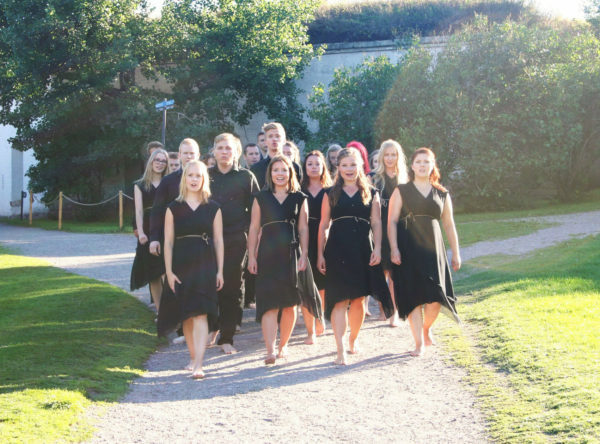 Grex Musicus performed at the church of Suomenlinna prior to the choir competition in Latvia. Julia Sand from street art collective G-Rex performed live video art at the concert. 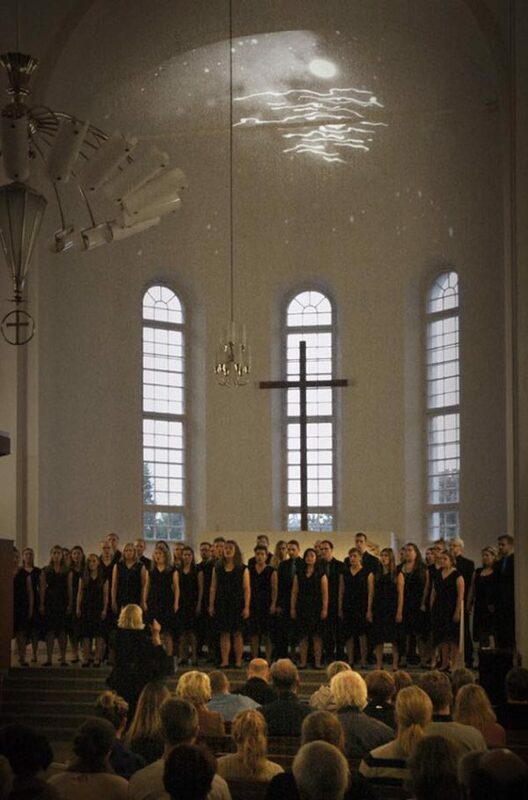 Grex Musicus participated for four days at the International Baltic sea choir competition in Latvia, where Grex ranked 6th. Our first music video was filmed in Suomenlinna in August 2013. Second music video by Grex Musicus is called Meri, and it was made in May 2014.